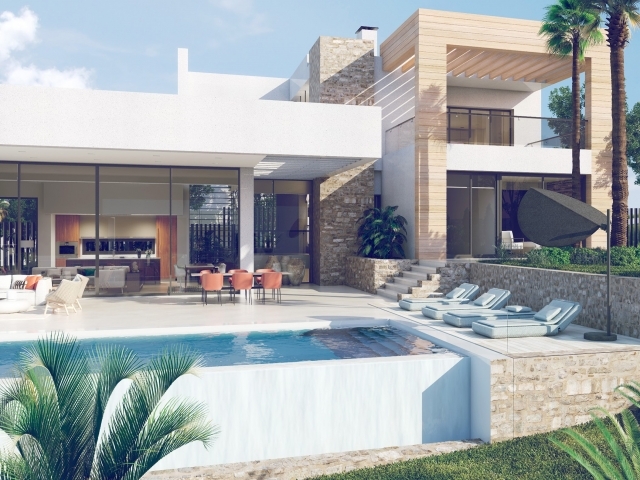 Restoring the balance between architecture and natural elements, Anamaya Villas is the first project of its kind overlooking Golf Valley. 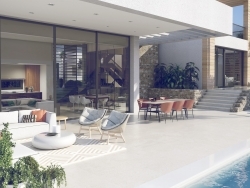 Perfectly located on a gentle incline, each villa affords its own remarkable views, stretching from east to west along the glittering Marbella coastline. Creating a gift for the senses, these five exclusive villas are united in character, yet unique in design, so that each can offer its own distinct advantage, under the stars of a southern Mediterranean horizon. 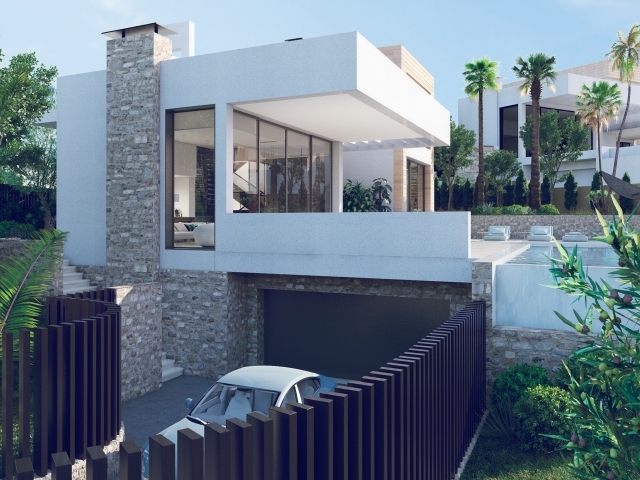 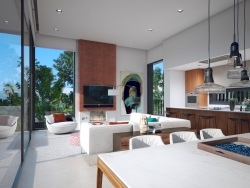 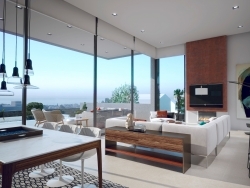 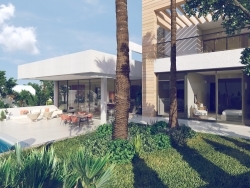 With a prime setting at the top of Nueva Andalucía’s most desirable residential area, the Anamaya Villas overlook the gently undulating Golf Valley, with spectacular views across the Mediterranean to the headlands of Africa. 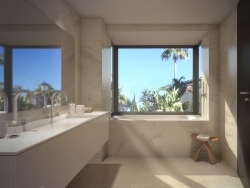 With the backdrop of the Sierra Blanca and nestled between sea and mountains, this outlook is a magnificent tribute to its Andalusian coastline. 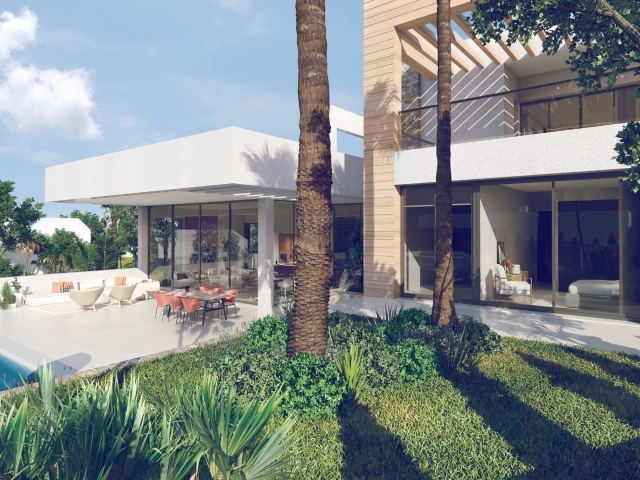 This development shares the same fenced perimeter, with cypress trees adding a natural border between villas. 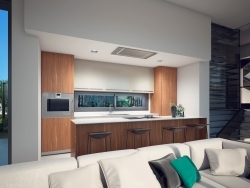 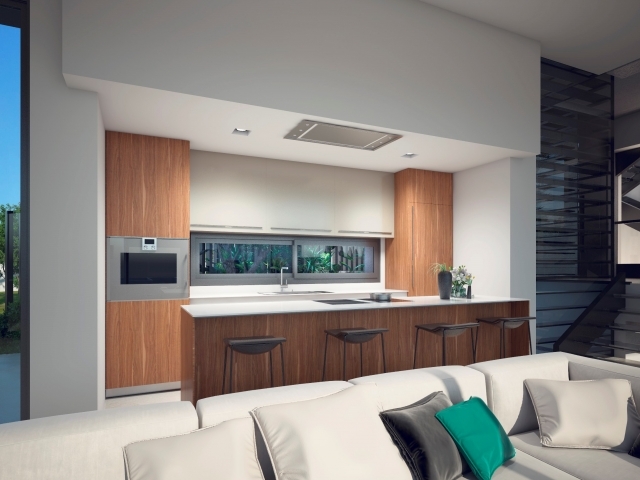 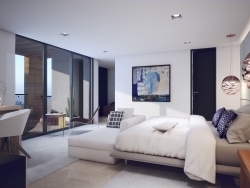 However each has its own private entrance and driveway, with underground parking for two cars. 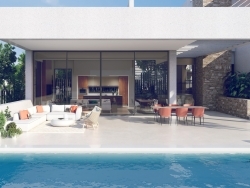 Each villa is unique; spanning between 250-270 m2 on a split-level formation, with over 1000 m2 of grounds per home. This includes shaded verandas, gardens and a private swimming pool as a perfect, personal oasis. The design principle for Anamaya Villas is being at one with nature, complementing the needs of the changing seasons while making the most of the Marbellan micro-climate. 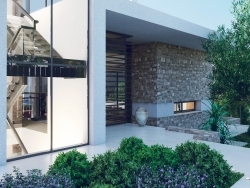 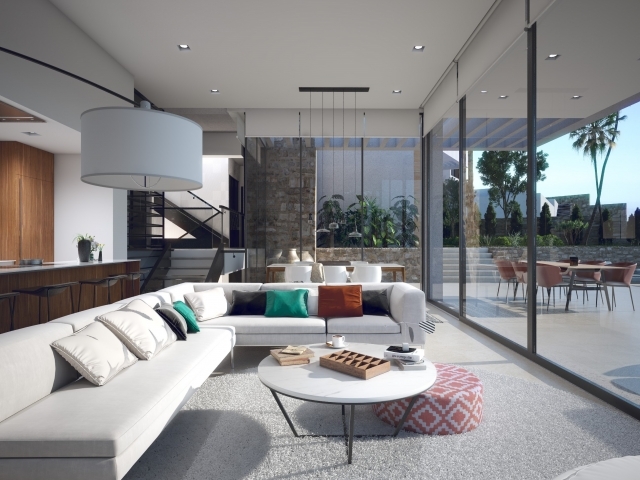 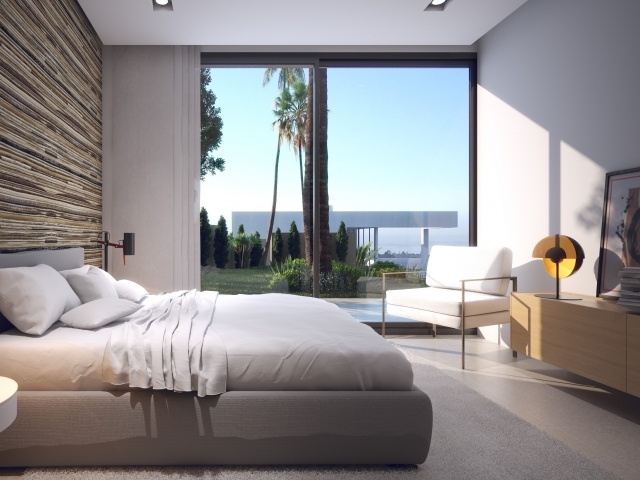 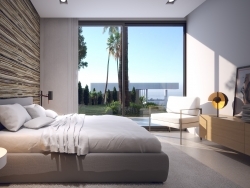 Every outlook from the living areas and the principal bedrooms has been thoughtfully designed to maximise the best views, over the landscaped grounds or gazing across the iconic La Concha mountain and the Mediterranean.